January 31, 2019, 4:06 PM · Congratulations to the finalists and winners in this year's Theme Park Insider Awards! Earlier this month, we announced six finalists in each of eight categories, based on average reader ratings submitted by Theme Park Insider readers over the past 12 months. (Locations had to have had a minimum number of ratings submitted to qualify.) Then, for the first time this year, we asked readers to pick the winner from among the finalists in a popular vote. This is the first win for Satu'li Canteen. The other finalists were Walt Disney World's Columbia Harbour House and Flame Tree Barbecue, Tokyo Disneyland's Queen of Hearts Banquet Hall, Universal Studios Florida's The Leaky Cauldron, and Universal Studios Hollywood's The Three Broomsticks, which won this award the previous three years. Mythos returns to the top spot, which it enjoyed for six years between 2003-2008. The other finalists were the Disney California Adventure's Carthay Circle Restaurant, Walt Disney World's Jungle Navigation Company Skipper Canteen and Tiffins, Tokyo DisneySea's Magellan's, and Walt's at Disneyland Paris. The Cabana Bay wins the inaugural award for this category. Other finalists were Universal Orlando's Aventura Hotel and Sapphire Falls Resort and Walt Disney World's Fort Wilderness Resort and Campground, Port Orleans - French Quarter Resort, and Port Orleans - Riverside Resort. 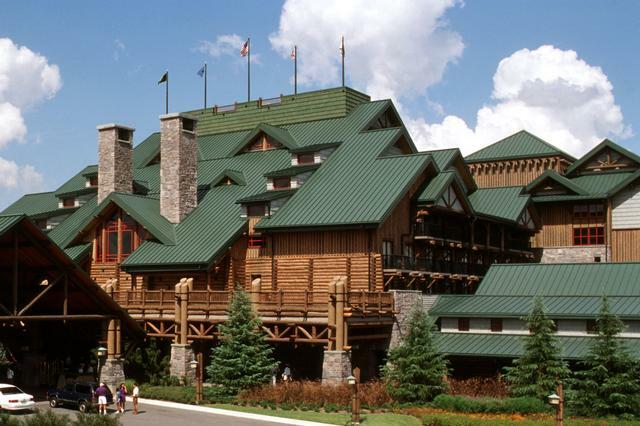 The Wilderness Lodge wins in this category for the second time, following a triumph in 2010. The other finalists were Disney's Grand Californian Hotel, Disney's Grand Floridian Resort, Universal's Hard Rock Hotel, Universal's Portofino Bay Hotel, and Universal's Royal Pacific Resort. Cedar Point's RMC conversion won our Best New Attraction Award last year. The other finalists were Six Flags Great Adventure's El Toro, Carowinds' Fury 325, Kings Dominion's Intimidator 305 and Twisted Timbers, and Six Flags Magic Mountain's Twisted Colossus. This is the second win in this category for Fantasmic!, which previously won the honor in 2014. Other finalists were: Disney's Frozen - Live at the Hyperion, Happily Ever After, Mickey and the Magician, and Paint the Night, and Universal's WaterWorld. The 2016 winner for Best New Attraction becomes the third ride to win in this category, joining previous winners and fellow nominees Journey to the Center of the Earth and The Amazing Adventures of Spider-Man. Other finalists were Batman: Knight Flight at Warner Bros. World Abu Dhabi, Flight of Passage at Disney's Animal Kingdom, and Harry Potter and the Forbidden Journey at Universal Studios Hollywood. A park that wasn't even yet open at this time last year wins our reader vote, topping other finalists Disney's Animal Kingdom, two-time winner Efteling, Shanghai Disneyland, six-time winner Tokyo DisneySea, and five-time winner Universal's Islands of Adventure. Thank you to everyone who voted in this year's awards. If you would like to help determine next year's finalists (which will include the return of the Best New Attraction Award), please rate and review the attractions, restaurants, hotels, and hotel restaurants you have visited in the past year, via the links on the page below. These ratings pages will determine next year's finalists. A few head scratchers this year including Best Theme Park and Best Table Service Restaurant. 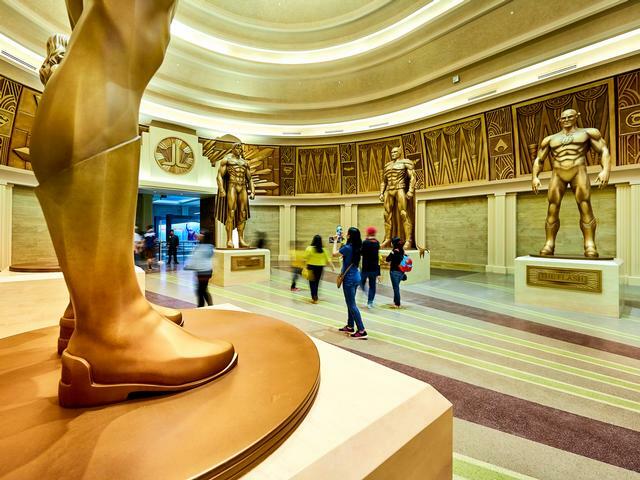 Warner Bros. World surpassing the likes of Tokyo DisneySea, Disney’s Animal Kingdom, and even Shanghai Disneyland makes about as little sense as could be humanly possible by any objective measure. As for Mythos, I realize it historically receives much love from the TPI community but I personally do not get it. The hype led my wife and I there and it was easily the least impressive and least enjoyable table service experience we had during that trip. That’s not to say it was bad, but rather to say it was nothing approaching award winning. The food was mediocre at best, the service was standard, and the theming did not play as well as advertised in terms of the actual physical dining space. The most redeeming aspect was the relatively bargain-basement price of the meal compared to other table service locations across UOR and WDW which is what I suspect strongly helps drive its popularity. All that said, the voters have spoken which is an excellent change from simply giving awards to the highest rated...I look forward to continue reading and debating the winners in the years ahead. Happy and surprised to see Wilderness Lodge pulling out the win! Also happy to see the highly overrated FoP not getting the win. Surprises all around! Great format, Robert, and thank you for the opportunity to vote. Looking forward to next year! Can't take issue with the theme park award as I have not been there. No issue with anything except Mythos. Agree with Will above. Please don't take it as rude, but I don't get it. I have had counter service meals at Disney that were better. I can totally vouch for the Shanghai Pirates ride! That thing blew my mind! And I'm really happy for the Wilderness Lodge. I love love love that resort! I can't speak for any of the other ones, including Mythos. But I'm glad to see it getting some love after it's rampage on the award last decade. I'll have to try it the next time I'm in Orlando. Whether what I voted for, have been able to experience for myself, or haven’t encountered was a finalist, won, or had no mention, I appreciate hearing what other theme park enthusiasts have to say. This site gives me an incredible amount of insight into an industry I love to follow and provide patronage to. Thank you! This process stresses me out every year! The winners are never exactly the line-up I would have picked, but they are always wonderful destinations worthy of our endorsement. I hope that everyone sees these awards as inspirational - a suggestion of new places to consider for future travels. That also is why it's important to me that the awards include international destinations, even if it means considering a body of candidates that almost no readers would have experienced all in person. Getting a minimum number of votes for parks not in the global or North American Top 20 is always a challenge, but I think the awards help push that a bit more each year. This has been a challenging year for me and for the site, but I am so grateful for all the readers who visit here - especially for our frequent visitors and contributors. Thank you again for making this a wonderful community of theme park fans and professionals! That was fun, but in the end the best is what you like personally. All these parks, restaurants and hotels are very different and cater to a different audience. Robert, how are the Best Park nominees decided? Is it an accumulation of the ride & restaurant ratings? I wonder how many votes were cast for the winners by people who have never been to or experienced what they were voting for and based their votes purely on reviews, videos and wanting a different winner from the usual suspects? Steel Vengeance .... now there's a surprise .... not !! The hotels I can't comment on as the only one I stay at is Breakers, and that wasn't on the list. 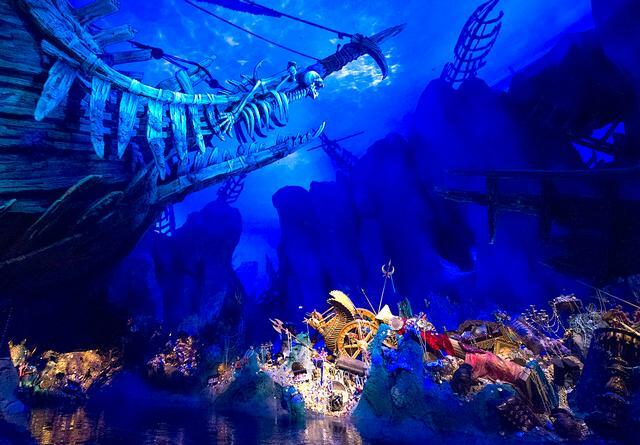 Never been to Shanghai Disney, but the pirates ride has got to be some marvel of a ride to beat out FofP ... which by the way I still can't get FP+'s for, only being able to chose 30 days out :( But next time I'm at DAK I will try the Satu'li canteen. Never likely to get to Abu Dhabi, so I'll stick with DAK and/or IOA for my favourite parks. Although my sentimental favorite will always be Alton Towers, as that's where this crazy enthusiasm for riding roller coasters all started. June 1980 on the corkscrew ... almost 40 years ago !?!? Disney cleans up (again) with four big wins. Well done! Interesting tidbit about FofP FP+: seconds after the 60 day window all FP+ selections were gone for FofP. I was mad as a hornet. Completed all of my selections and began to tweak them, and they became available, so I was able to get them. I suspect it was some sort of a glitch or something. If it was not a glitch, it tells you the level of demand, and I was able to snag them from people figuring the very unintuitive system while they were editing selections. Again, if not a glitch, this means people not staying on site may be in a situation where it is difficult to ride this. I suggest regularly checking the app or webpage. Just imagine the amount of Jedi mind tricks that are going to be required this fall... And Robert, love the site and the awards. Thanks. We've had many discussions on the intricacies of the FP+ system, but over the years I've learnt to take any time that becomes available, and when you are at the park work that time by trying to modify it. The day of is always the best time to modify. I've been trying to get a 7DMT FP+ for a while, which is just a tad less difficult to get than FofP, but just playing around with the times this morning one popped up at 7pm for today. I can't get there today, but it was an interesting exercise to see what became available. I go thru the times from 8pm down to mid-afternoon and back. I did this a couple of times, and all of a sudden 7DMT is there !! It's painstaking, but it's been said many times on this site, you have to work the FP+ system to get the best out of it. I have no problem with it, as I've worked out the vast majority of it's foibles, and use it to my advantage. Of course, I'm in a favorable position where I can look for a FP in the morning and go to the park after work the same day. I still have to work hard to get what I want, but it's well worth it. @JC VanHouten. I have also tried getting FOP fastpasses at 7am 60 days. No luck. I've often to just check back often. But I have read on various forums that people booking 2 week stays adjacent to that 60 day window get a 74 day window for fastpass booking....which may explain the lack of FOP fastpasses even at 60 days out at 7 am. There is just no way that Warner Bros world should even be in the running let alone win! @Jeffrey H - Just so it's clear to everyone out there, guests who are staying at a WDW Resort (or selected partner resorts) can start booking FP+ reservations at 7 AM 60 days in advance of their check-in day. FP+ reservations can be made for the entirety of the stay, but only up to 10 days beyond (60 + 10 = 70). The +10 rule can hold some advantages, but they're still limited since very few WDW on-site guests are staying just 1 night. It can often come down to which parks you're visiting on which days of your vacation. Guests who choose to visit DAK at their end of their vacation will likely have better luck getting FoP FP+ reservations than if you want to visit Pandora on the first day of your visit. It's pretty simple math, and the same principle carries over to highly coveted dining reservations like V&A's Chef's Table that also employ a +10 rule (though with ADRs, you can book 120 days in advance of your check-in day). I agree with Makorider's assessment of the system. However, serious fans and frequent visitors have noticed some trends in the times and days of the week when extra FP+ reservations are made available. While guests are often fiddling with their reservation, it's very unlikely that someone is going to dump a highly coveted FP+ reservation (like a morning FoP). What instead is happening when these pop up on MDE, is that Disney is releasing deliberately held-back inventory. I'm not exactly sure what percentage of any ride's capacity is allocated to FP+ guests, but based on my own observations and experience with the system, I would say it's somewhere between 25-30%. For example, if a ride has an average throughput of 2,000 people per hour, Disney would block out somewhere between 400-600 FP+ reservations for each hour of the operational day. However, not all of those slots would be available 70 days in advance - perhaps more like 200. That means if a ride is really popular like FoP, or has a low capacity like Peter Pan's Flight, then that first batch of FP+ reservations are snapped up really quick from long-staying on-site resort guests at the 70 day mark. Disney will then release some of the remaining FP+ reservations at the 30-day window (non-resort guests), but will hold some back just in case the attraction is not operating at maximum capacity (like what they will do in the first few months of operation). As Disney becomes more confident that a ride will run at optimal capacity, they will "magically" release the remaining batches of FP+ reservations up to and including the day of. So, the mantra of checking MDE regularly is an unfortunately reality. While some people claim to know when Disney releases extra FP+ reservations in bulk (Tuesdays at 10:20 AM EST is a common theory), I think it's as much about getting lucky and being persistent in checking routinely than anything else. As far as the awards, I'm skeptical that a theme park that has been open for less than 6 months (with a signature attraction that only opened a couple of months ago) received more individual, unique votes than long-established and critically acclaimed parks. It's always possible that the Disney and Universal fans cancelled each other out, but I wouldn't be surprised to see that there is some ballot stuffing going on, especially since that when the WB Movie World was nominated, there wasn't a single written review of even their biggest attractions (only numerical ratings). Not to say that there's anything wrong with guests/fans just wanting to provide a rating and not a lengthy review, but the ratings are very susceptible to bots deployed by marketing companies trying to develop a fanbase for a new far-off tourist destination. There are services out there that allow you to buy Instagram likes, so it would not shock me if there was some company out there trying to goose ratings and shower praise on a park in need of attention. I can see some of the criticism of Mythos. Is the food at the IOA stalwart better than Tiffins? Not by a mile, but it is that value aspect that makes Mythos one of the best table service restaurants on the planet. It serves a far more ambitious menu than most sit-down chain restaurants, and at a comparable price (i.e. very little theme-park markup). I think it's a deserving win, especially in a more budget conscious world. JCVH writes: "Interesting tidbit about FofP FP+: seconds after the 60 day window all FP+ selections were gone for FofP." I Respond: Holy guacamole! How (ahem) "Hamiltonian". "Holy guacamole! How (ahem) "Hamiltonian"." And yet, somehow we managed to get three (3) FP+ rides on FoP in our 1 day at DAK in October 2017, while my wife didn't win the Hamilton ticket lottery for a single of the 60+ performances of the musical at the Kennedy Center last summer. @Makorider - That makes two of us who vote for Alton Towers. For me it's not sentimental reasons but the fact that the park is exceptionally beautiful. Also, I find that there is something really magical about a beautiful park outside the USA. And BTW, I finally got to ride Mako for the 1st time last weekend. It was during a downpour and I can't say that riding hypercoasters under those conditions is a lot of fun but Mako is clearly an excellent coaster which I hope to reride someday under more favorable conditions. TH, I got my passes, so I cancelled my duel. Bobbie ... it sure was nasty weather last weekend, but good to know you enjoyed the Mako. I rode it once in the rain ... never again !! AT is indeed a beautiful park. I spent hours just wandering the grounds and around the house. It can be hell to get too during peak season, those narrow country lanes don't do you any favors, but the views of the English countryside are worth the hassle. And Russell, instead of having to wonder about the number of passes they hold back, the calculus of the cosign of the coefficient of the derivative of the variable of the percentage of the number of guests divided by the probability of the chance of rain times the number of guests on property minus the number of guests off property plus times the factorial of 10 to the thousand for each day closer to Star Wars opening as to the number of FP+ passes are available, I much prefer walking to a metal box and putting my ticket in it and getting a sheet of paper telling me when to come back. Helps to first check Extra Magic Hours schedule since those are Resort Guest only windows and have no FastPass+ operations. This impacts availability for FastPass+ at the theme park hosting EMH Resort Guests. If you are a Resort Guest, then use those Extra Magic Hours! If you're a day guest, avoid those theme parks on those specific days. Passholder exclusive events work in similar fashion. 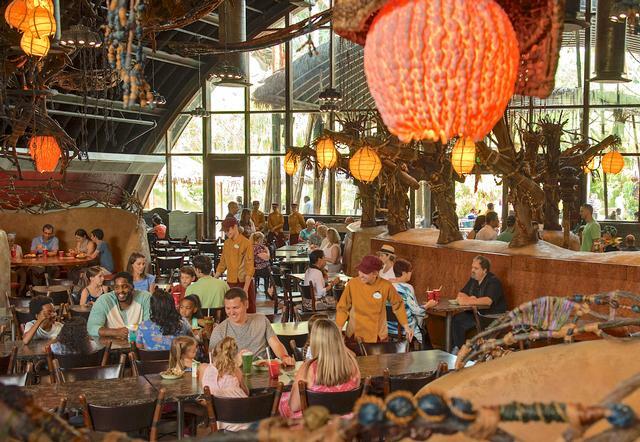 Expect both to impact guest flow for Star Wars: Galaxy's Edge when that debuts at Disney's Hollywood Studios much as they already impact Pandora:World of Avatar at Disney's Animal Kingdom. When Resort Guests have had exclusive EMH access to Pandora at DAK, the guest flow became way easier overall since it makes no sense for most of them not to take advantage of that perk. Likely will be the same situation at the Studios later this year. Definitely impacts what's available so know what Extra Magic Hours dates will be and plan accordingly.